So many people think of Paris as the European must-see city, but to me, London tops that list. Every time I visit, I see something new and different. This last time, we only had one and a half days available, and even then we managed to see a lot! 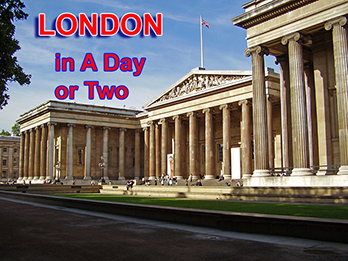 We traveled to London at the end of our Celebrity Cruise in northern Europe (Iceland & Norway - see related articles). On the way to the city from our port in Southampton, the cruise bus stopped at the world-famous Stonehenge. Despite millions of visitors over so many years, this prehistoric site is quite un-commercialized and provides a good experience about its mysterious origins. The monument featuring the Circle of Sarsen Stones with lintels and the Circle of Bluestones, evolved between 3,000 BC and 1,600 BC. The facility gives visitors pre-recorded audio tour guides in numerous languages, which makes it much easier (and quieter) to understand the various origins/theories of the unique stone placements. At this writing, a new visitors' center is under construction, scheduled to open in 2014 with detailed exhibits and of course an expanded shopping area. Our tour bus also drove by the impressive Windsor Palace with beautiful countryside and horse trails around it. Upon our afternoon arrival in central London we checked into the Hilton Hyde Park facing the grand park grounds. The hotel is in an excellent location, within easy walking distance of buses and the underground (subway). Numerous restaurants, bars and pubs are nearby. The Hilton rooms are very comfortable, and even though we had a small queen bed, we slept very well. We took a walk towards the Paddington Station a few blocks away and found Dickens Tavern, a great local pub at 25 London Street, Paddington, to eat an early dinner. The food was superb – we ordered a Rump Steak barbecue hamburger which we still talk about today, and the Shepherd Pie which was terrific. We were highly pleased with the food quality. We found many of the pubs are part of the Taylor-Walker traditional pubs. These can be easily identified with the black and gold logos and lettering, and although all pubs have different names, the menus are fairly similar. (We did find a few items at Paddington were slightly better priced than those at similar pubs located closer to the tourist areas). 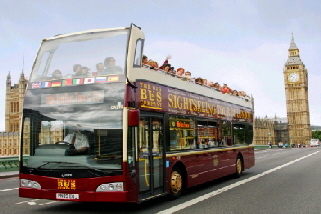 Afterwards we decided the best way to see London the following day was to take a Big Bus Tour (info@bigbustours.com). With the purchase of a $30 ticket per person, you are able to get on and off the bus at various interesting spots throughout the city. The bus also gives passengers special ear plugs to use while riding, and a pre-recorded tour highlights the spots of interest along the way. A very detailed map also gives visitors a guide of the blue, green and the red lines leading to various attractions. 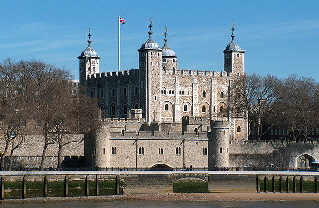 The ticket also included a cruise (www.citycruises.com) on the Thames River between Westminster and Greenwich, passing by the famous Tower Bridge, Tower of London, the new London Eye and the House of Parliament. The perspective from the river was very unique also and a highlight of our afternoon. We also stopped by the British Museum (a must, if you enjoy history and archaeology), and the Museum of Natural History. Both museums are free and the Natural History Museum was especially interesting to us, since we love nature and the outdoors. Our day-long tour was perfect. We saw most every possible spot of interest and more, and even learned about them much more by listening to the pre-recorded information while on the bus. Since we got off and on a few times, it took us an entire 8 hours to ride the complete line. This was an excellent way to see as much as possible in our short time there and we highly recommend it to all. 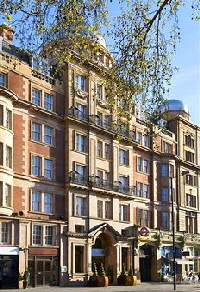 For more lodging information on the London Hyde Park Hilton, contact 1-800-Hiltons (44-207-221-2217) or visit their website at http://www3.hilton.com/ .